The Portland author of "50 Places to Ski and Snowboard Before You Die" talks about his new book, traveling, and flyfishing. 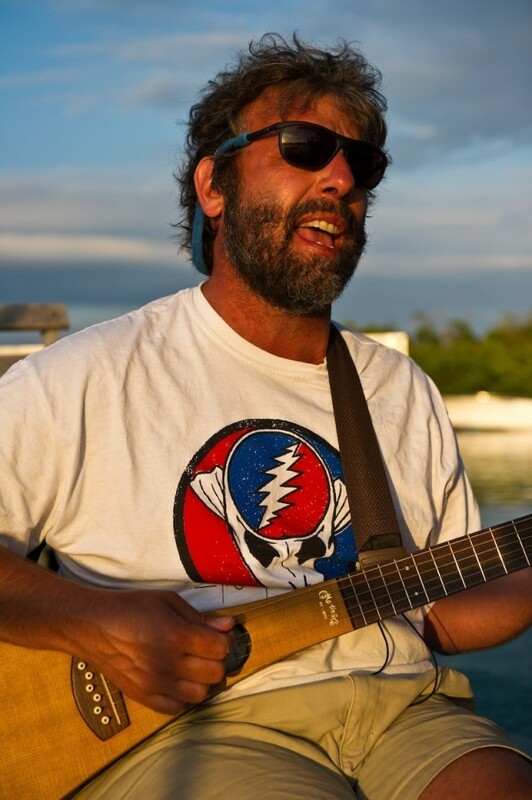 Local author and marketing consultant Chris Santella is an expert when it comes to places to visit around the world. More accurately, he is an expert on making bucket lists. 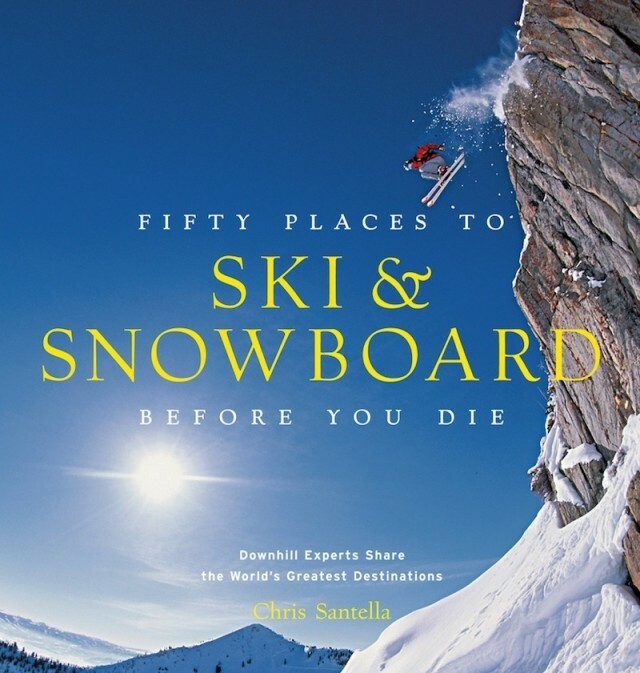 Santella's Fifty Places to Ski and Snowboard Before You Die, was released this fall and is his tenth in the "Fifty Places" series. He is already midway through his eleventh book, which will focus on paddling and kayaking. We sat down with him at Grand Central coffee to see if he really has been to every single place in his books, how he got started on this bucket-list type of journey and where he goes from here. This book is really exciting. Thank you. I had a lot of fun with this one and had the opportunity to interview some very talented people like Olympic skier Billy Kidd. Your book describes both international ski destinations, as well as some surprisingly small resorts in the US. How do you choose which locations make your book? I purposely feature a lot of diverse places. My books are for everyone, they are the ideal “coffee table gift,” and so I make them accessible. For the adventurous types who will travel the world chasing the snow to the people who want a more private ski/snowboard experience—where there’s one lodge sitting in a bowl surrounded by nothing but glaciers—my book contains it all. Every single location in your book is narrated by an ‘expert’ or by someone who fell in love with that spot and never left. When reading it you really get a sense of passion for the snow. Exactly. I am in no way a ski expert. I grew up in Connecticut where there is a lot of snow each winter so skiing became a hobby. When it comes to my books I refrain from using just my opinion and instead talk to people who know these places and truly love them so that way other people can genuinely appreciate these spots too. Did you visit every single place listed in your book? Unfortunately no, I wish! I have a family and another job so this is a passion project. I do get offered to go on a lot of trips as a result of my books though. Where have you been offered trips to? I make it a point to go on one big trip a year specifically related to the books I am writing and researching at that time. I went heli-skiing in the Tordrillo Mountains with Tommy Moe and Atlantic salmon fishing on the Gaspe Peninsula of Quebec and the Ponoi River in Russia. Those have been very special trips. How did you first start on this journey? Fly fishing is my passion. I taught myself how to do it a long time ago and I just had this idea about featuring some of the best fly fishing locations for other enthusiasts like me. So I pitched the idea and had no idea that ten years later I would still be working on this series. I have to thank my advisors who made the book so user-friendly and not overwhelming like some coffee table books or else my career as an author would have been over after book one. Out of all of your books which one has been your favorite? Fly fishing is closest to my heart, so I’d have to say that Fifty Places to Fly Fish (and Fifty More Places) are still my favorites. Favorite people to interview thus far? I interviewed Carl Hiaasen and Henry Winkler for a book called “Why I Fly Fish.” Both of them were smart, friendly and passionate…and generous with their time. So what comes next? More “50 Places” books or a new endeavor? I come from a business background so as a businessman I know series like my books will eventually run their course. My contract is up in a year so my next book will probably be focused on surfing. A freelancer always has to be looking ahead. Right now, there’s a decent chance that the 50 Places flyfishing books will be made into a cable TV program. I won’t be the host, but would be an Executive Producer if that comes to pass. There might potentially be a chance to expand the series notion to other sports as well. But for now, I am just enjoying the ride.